Later this week Galveston will host the American Planning Association's Texas Chapter 2015 State Planning Conference. The conference, with its "Inspire, Imagine, Innovate" theme, hopes to do just that. Planners, engineers and urbanists from around the state will convene to learn, share ideas and celebrate achievements in planning and development. 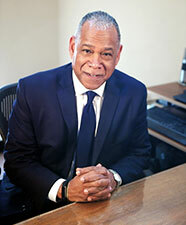 Headlining this year's conference is Mitchell Silver. Many may not recognize his name, but his position as Commissioner of the New York City Department of Parks and Recreation comes with a storied past. This was the same position that was held by Robert Moses for over 26 years from 1934 to 1960, after having been appointed by New York Mayor Fiorello H. La Guardia. Moses used his position to initiate a massive expansion of New York City park facilities, including playgrounds, swimming pools, golf courses, beaches, recreation centers, and zoos. A timeline of Moses' accomplishments is quite impressive, shaping New York's modern park system. of course, Moses was also criticized for his continued "power broker" tactics, culminating with his 1960s spar with Jane Jacobs over the proposed Lower Manhattan Expressway that would run right through Jacobs' Greenwich Village neighborhood. Nonetheless, Moses had a lasting impact on New York City parks. And, with Silver's visit to the Houston area, you can be sure that the city's park development will be a central theme. (See Texas Monthly's most recent article about Houston's parks). This past weekend Houston celebrated the grand opening of the Buffalo Bayou Park, which will give Houstonians and the city's visitors, a different view of our city. Silver may also be able to provide commentary on Houston's recent planning efforts to create the Plan Houston general plan. As Planning Director of Raleigh, North Carolina, Silver led a process to update both the city's complrehensive plan and development code. The conference will also contribute a tactical urbanism legacy project. "Planarchy" aims to show "how low-cost, incremental, changes can enhance Galveston’s public space, advance economic development opportunities, and improve health outcomes. Planners who volunteer for the Legacy Project will learn about the different tactical urbanism techniques, how they can be applied, and gain hands on experience implementing interventions." "Planarchy" will begin on Thursday evening at 5 PM and last through the day on Friday near the intersection of 25th Street and Market Street in Downtown Galveston. Mobile workshops during the conference will feature a look at Galveston's beach management process, Galveston's historic preservation, as well as a visit to Downtown Houston. For more information about the conference, please visit the conference website. While online registration is closed, attendees may register on site.